For our French-speaker readers, you can find the French version here. 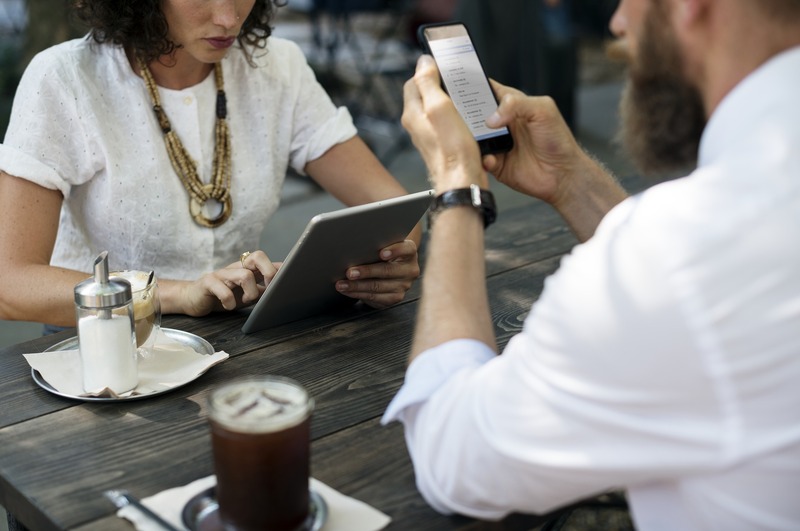 Whether you are looking for your dream job, a new project or you want to adventure into the freelance / start-up world, you’ll quickly realize that success may hinge on who you know. 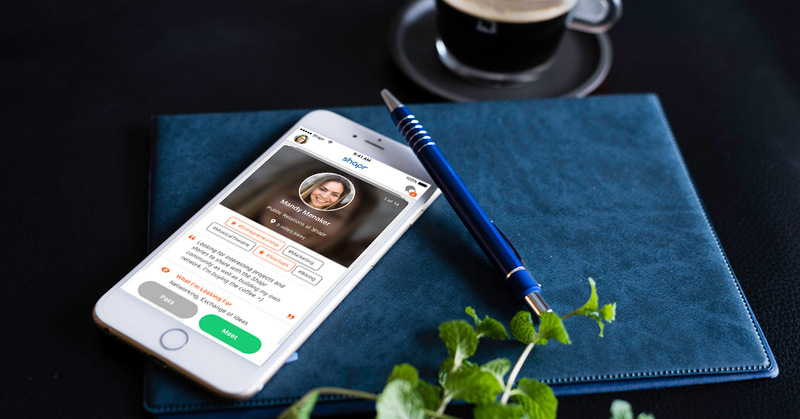 Barely nobody wants to go to random networking events, try Shapr instead, a free networking app that follows the trend of Tinder-like mobile applications and manages to make networking inspiring, simple and… genuine. Shapr leverages our swipe to connect lifestyle with the professional aspect of LinkedIn. The application suggests a tailored daily batch of 15 profiles based on the interests you add to your profile. Those interests can range from #marketing and #graphicdesign to #photography and #venturecapitalism. The idea is simple, swipe right if you want to meet, swipe left to pass. 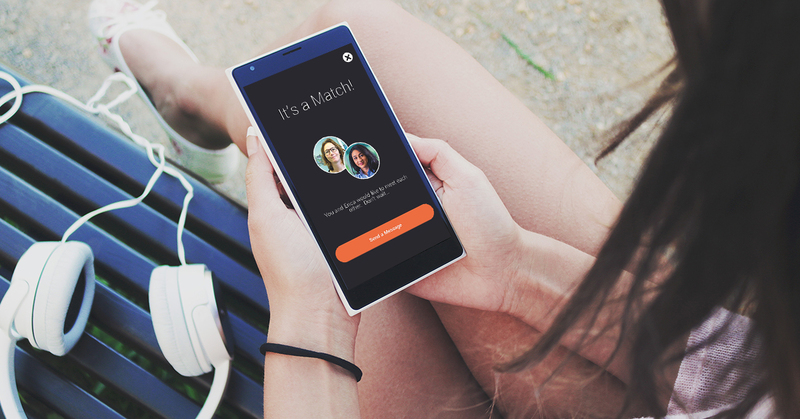 If both users want to meet they “match” and can then message each other and meet over coffee or drinks. 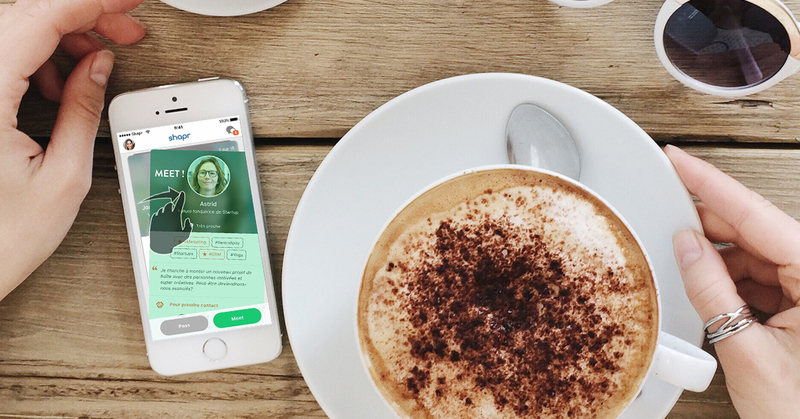 The app goes even further, once you create an account for the first time, the users is asked where they would like to start the conversation. Is it a coffee shop ? A bar ? During lunch time ? You get to choose where you are more comfortable and when you are available. Shapr not only helps you network online, but it will help you do all that in real life, in the right conditions. There are some great stories from artists and creatives on Shapr. Short story long, the French photographer Ludovic Baron, renowned in the world of advertising, convinced one of his friends to pose for him. Through Shapr, he met the French worker of the year in lingerie, who agreed to create a custom-made collection for his model. 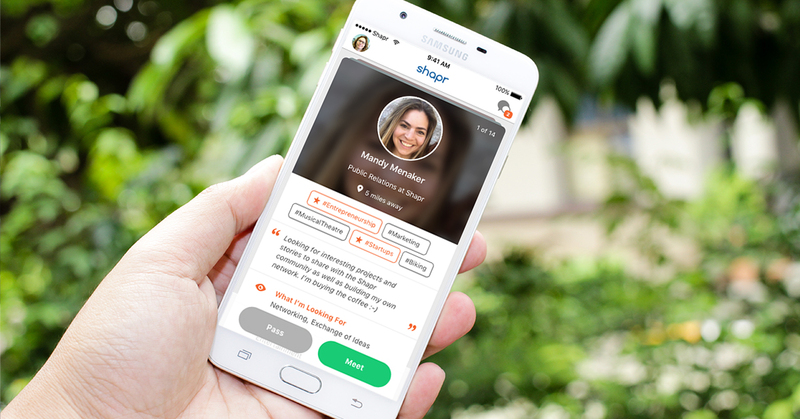 You can use Shapr while sipping your morning to start meeting inspirational people in your area. Many people on the app is in a sharing and helping mindset and want to meet new people. It makes it easier to break the ice and… who knows? Download Shapr on ios and android and start connecting today.